HUGE SALE!! If you apply for MLSSM Ministry School between now and September 20th, you'll receive your choice of a $100. 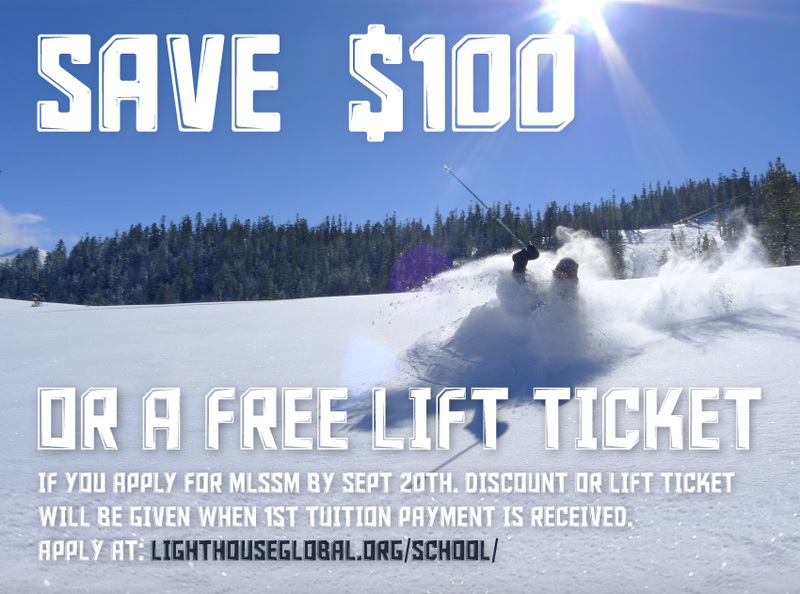 discount on your tuition, or a single day lift ticket for Mammoth Mountain. We'd love to have you! !